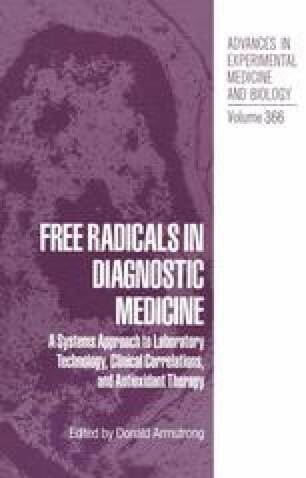 In 1980, when the author organized an international symposium on “Lipid Peroxides in Biology and Medicine”1, he was convinced that the research on the significance of lipid peroxides and their related free radicals in medicine had gotten off to a good start. Thereafter, many valuable results on this topic have been accumulated, and the problem has become of practical importance in clinical medicine. Thus, the present symposium seems to be timely organized.